“The Sustainable CMO,” outlines how today’s CMO can achieve unprecedented business success by embracing sustainable values and practices. 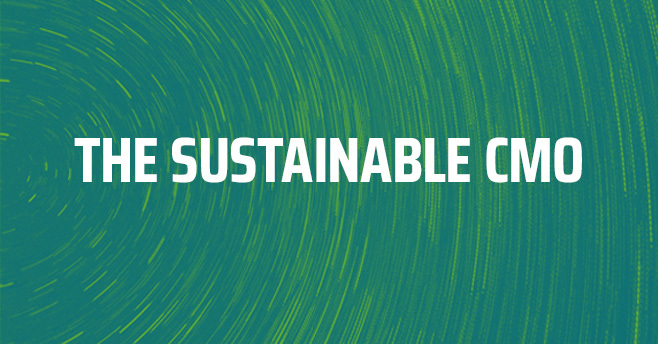 This blog post is based on a recent white paper “The Sustainable CMO” developed by RF|Binder’s Head of Social Impact and Sustainability Annie Longsworth, Chief Operating Officer of SupplyShift, Jamie Barsimantov, and Founder and CEO of Possible, Etienne White. Take a moment to consider the role of the Chief Marketing Officer today compared to 20 years ago. In some ways, it might seem that today’s CMOs still serve largely the same purpose that they always did. But consider the changes in technology, the advent of social media, the movement of brand activism – just to scratch the surface – and it becomes clear that both the scope and sphere of the CMO’s work have shifted dramatically. Internally, CMOs wear many more hats than they once did, working more closely with CFOs and collaborating with others in the C-suite. And while CMOs have more influence than ever before, particularly as they speak out on broader societal issues and challenges, research has shown they are under greater pressure to demonstrate results in a shorter period of time. Against this backdrop, the role of CMO now faces a critical and exciting juncture – and CMOs who embrace new developments and trends could be poised for greater success than ever before. One such trend: an increasing focus on sustainability and sustainable values, across both operations and marketing. In an era of brand transparency and brand purpose, the CMO has become one of the most important C-suite roles. We predict that 2019 will be a watershed year for the Chief Marketing Officer role. By integrating more sustainable values into their marketing strategy, CMOs can anticipate greater brand-building benefits that will undoubtedly lead to enhanced brand reputation while meeting critical business objectives for their organization. Learn more about the Sustainable CMO in our white paper, developed in conjunction with SupplyShift and Possible, found here.